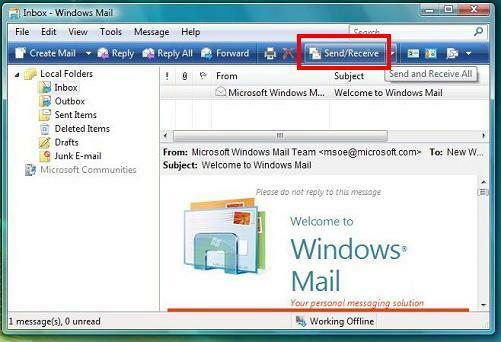 Microsoft Windows Mail (formerly Outlook Express) is email software supplied with Windows Vista. 1. Click the Start button. 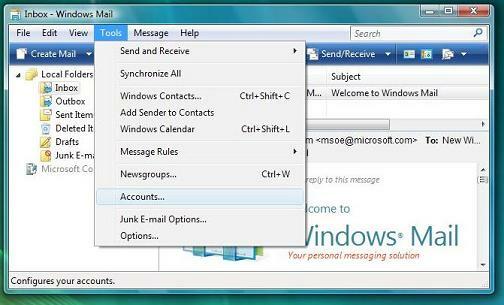 Click Windows Mail. 2. Click the Tools menu, and then click Accounts. 4. 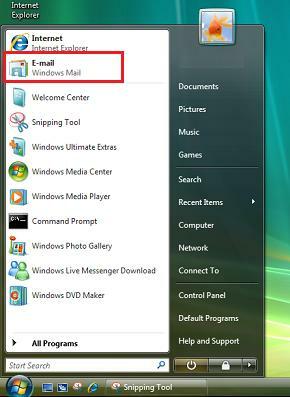 Click the E-mail Account option. Click Next. 5. Enter your name in the Display name box. Click Next. 6. 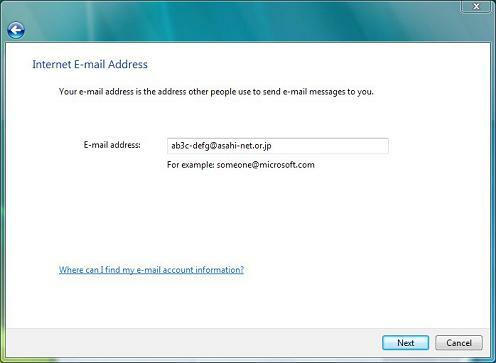 Enter your Asahi Net email address in the E-mail address box. Click Next. 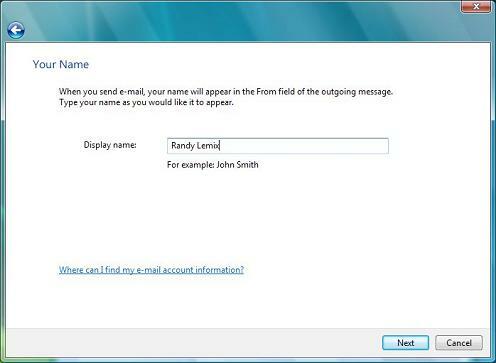 The example above shows a default Asahi Net email address based on an Asahi Net User ID. 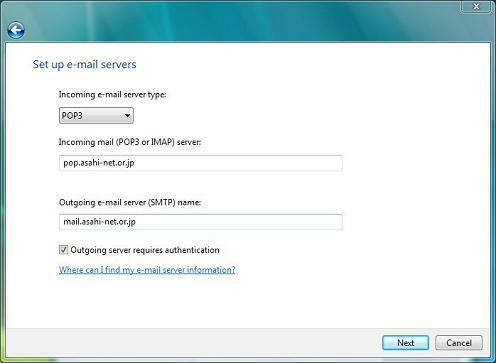 Asahi Net's MyMail service allows you to create your own email address. If you have not yet registered an Asahi Net MyMail address, click here. 7. 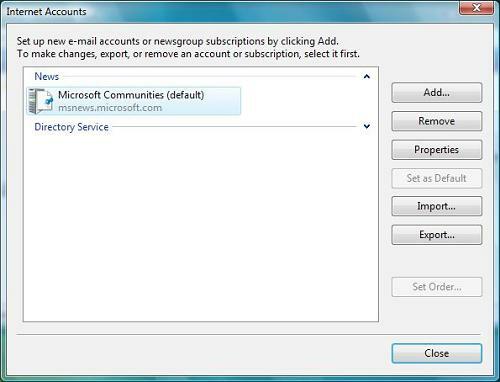 In the Set up e-mail servers window make these settings. Click Next. 8. 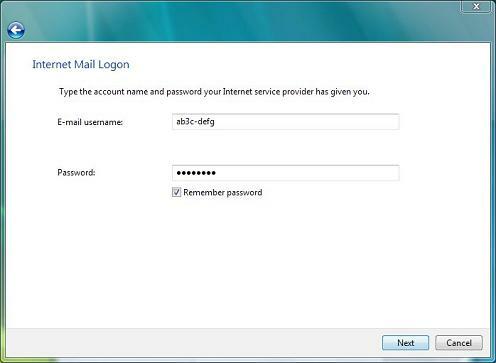 In the Internet Mail Logon window make these settings. Click Next. Enter in lower case (small) characters. Check this if you don't want to type your password every time you check for new email. 9. 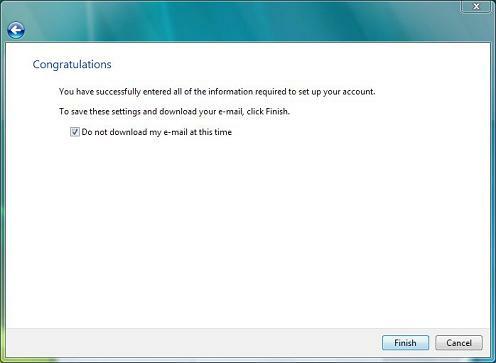 Check the Do not download my e-mail at this time box. Click the Finish button. 10. 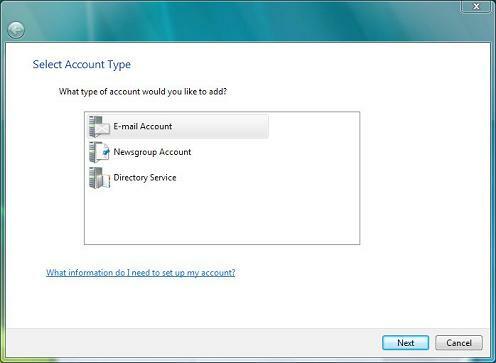 The Internet Accounts window will appear showing the new account you have made. Highlight that account and then click the Properties button. 11. Click the Servers tab. Make these settings. Check the box if you don't want to have to type your password every time you download your email. 12. Click the Settings button. 13. 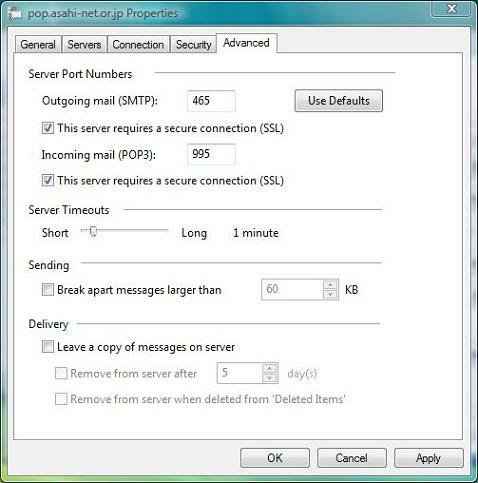 Check the Use the same settings as my incoming mail server box. Click the OK button. 14. Click the Advanced tab. Make these settings. 15. Confirm that 465 and 995 are still in their respective boxes. Click the Apply button. Click the OK button. 16. The Internet Accounts window will appear. Click the Close button. 17. 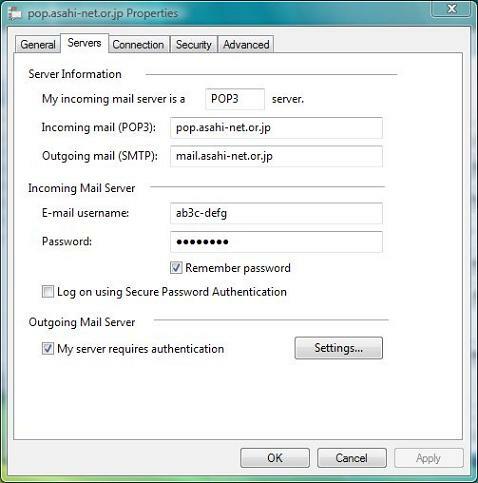 If your computer is connected to the Internet, click the Send/Receive button to download your Asahi Net email. 18. 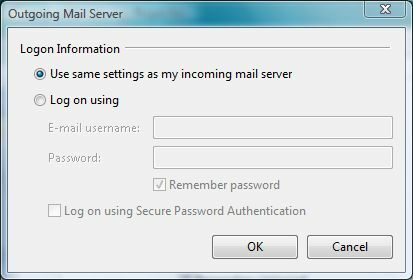 If you were unable to receive your Asahi Net email or have problems with sending email, click here to check your settings. Are you using Asahi Net's Virus Check Service? If so, you'll want to change your settings. Click here for details. 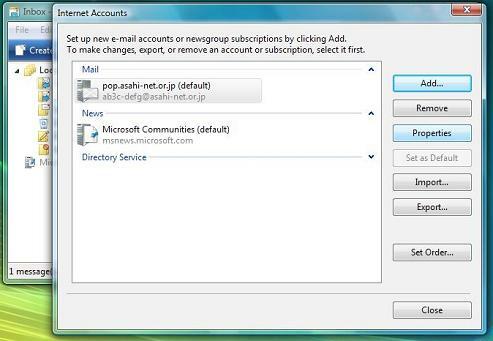 Thank you for visiting the [Setting : Windows Mail - How to add a mail account] page of Asahi Net, the Internet provider.